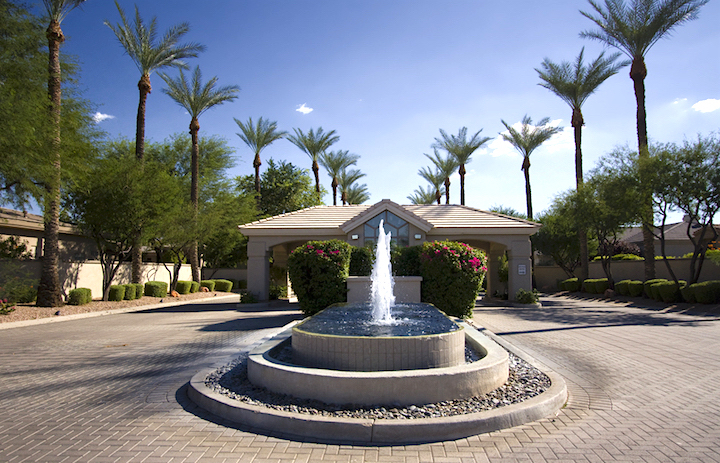 Via Vista is located in the beautiful city of Paradise Valley, Arizona. Via Vista is a small boutique "gated community" located in the heart of Paradise Valley and consists of just 18 luxury homes. Via Vista is located just off Scottsdale Road, north of Chaparral Road near world class shopping, fine dining and art galleries. Homes in this exclusive community range approximately in size from 3,000 - 6,300 square feet. Below are the latest listings for sale in Via Vista. Our Russ Lyon Sotheby's Real Estate experts can guide you through the homes currently for sale and help with your search for the perfect home in Paradise Valley. To set up a private tour of any home you see here contact us at; 888-316-4622.